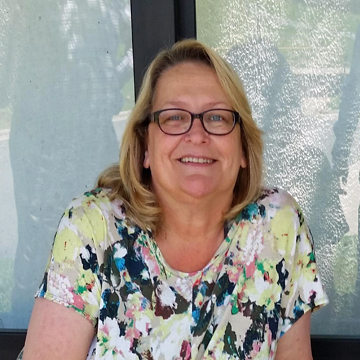 Jane Ellen Faust, 54, of Charlotte, passed away Friday, April 12, 2019. Jane was born February 14, 1965 in Ashford, West Virginia, to Tracy Faust II and the late Mary Ann Baire. She was also preceded in death by sister, Cheryl Faust Miconi. Jane had many different careers during her life She worked with family at Captain D`s, She was a Retail Manager at Infinity's End for many years, and a Senior Resource Specialist at the Electric Power Research Institute, She loved spending time with Family, Friends and her Dogs, Jane had a very special heart one that turned her friends into family forever. She loved baking cakes and homemade treats for your birthdays listening to good music, good conversation and revisiting old memories. Survivors include beloved husband of 29 years, Richmond Munn; sons, Casey and Logan Munn; father, Tracy Faust, II; brothers, Dewayne Baire; Tracy Faust III; Henry Faust; Jason Faust; many uncles, aunts nieces, nephews and cousins. As well as an eclectic group of people she considered her extended family. The memorial service in celebration of Jane's life will be on Saturday, April 20, 2019 at 7:00 pm at Hartsell Funeral Home Chapel in Harrisburg, officiated by Pastor Tony Hodge. Jane will be laid to rest during a private family service in West Virginia. Hartsell Funeral Home of Harrisburg is serving the Munn/Faust family.